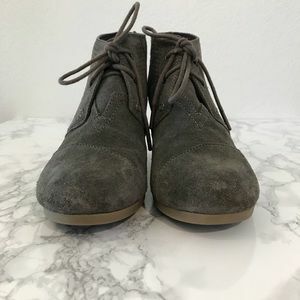 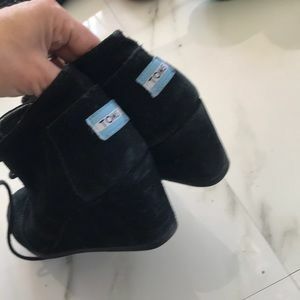 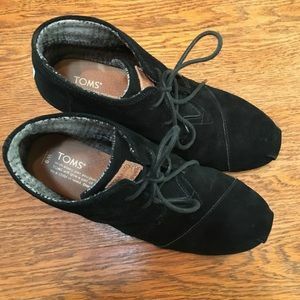 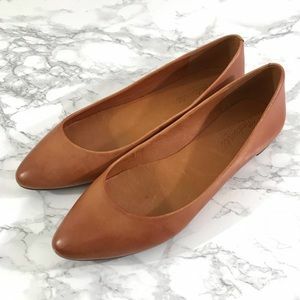 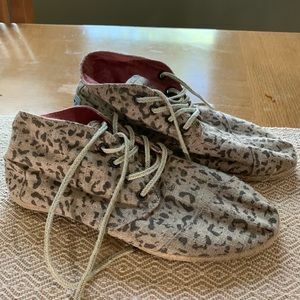 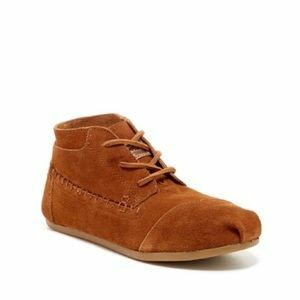 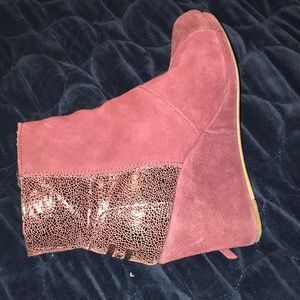 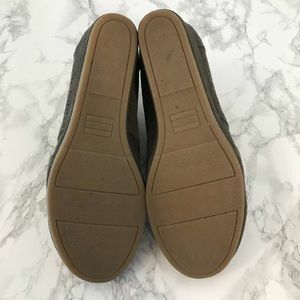 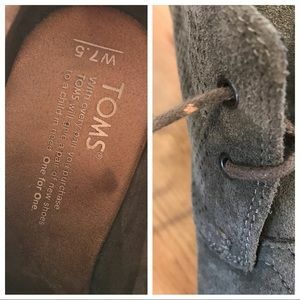 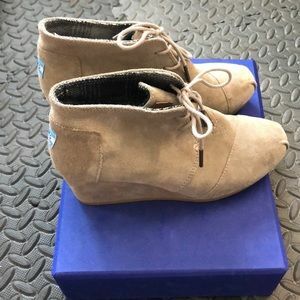 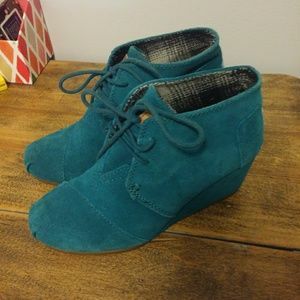 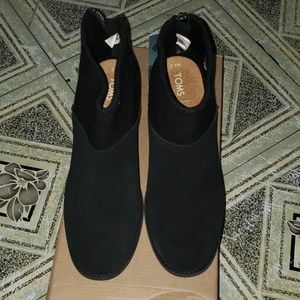 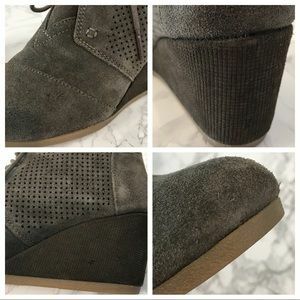 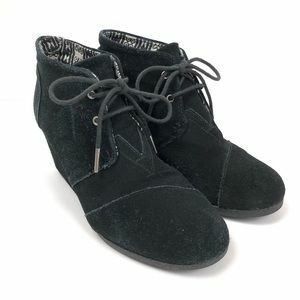 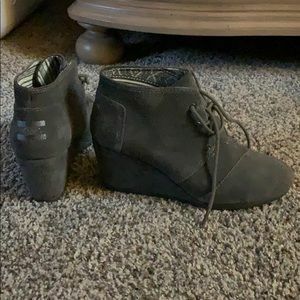 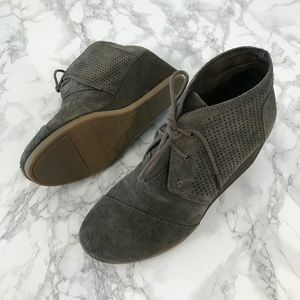 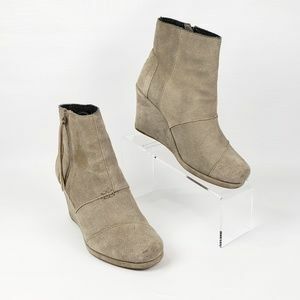 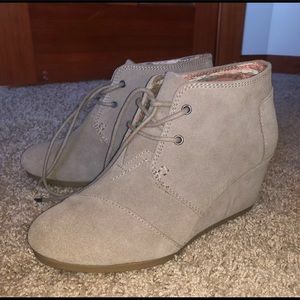 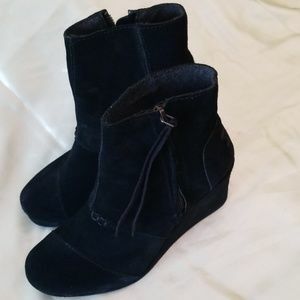 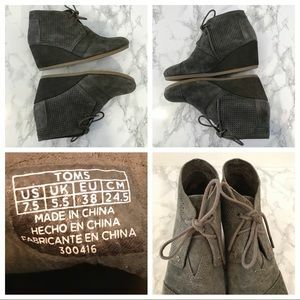 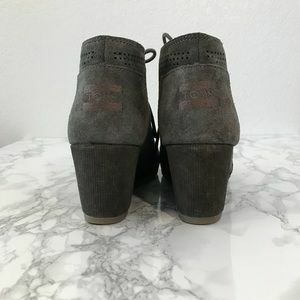 Toms Desert Wedge Military Green Suede Perforated Bootie Size 7.5 Lace up closure In good condition, with marks on the suede and a mark on the laces. 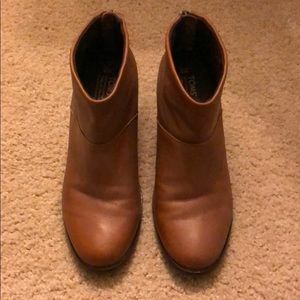 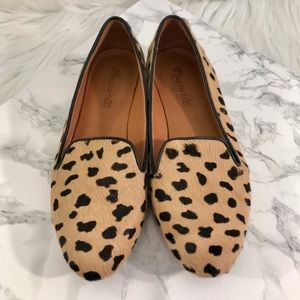 Reference the photos. 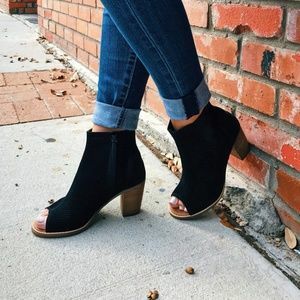 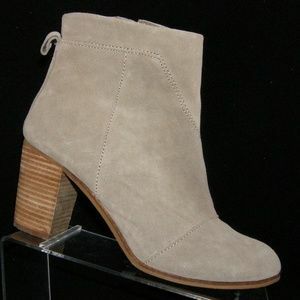 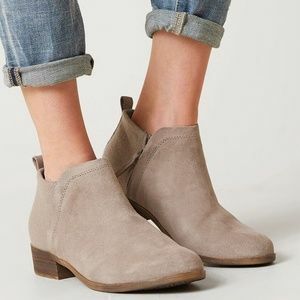 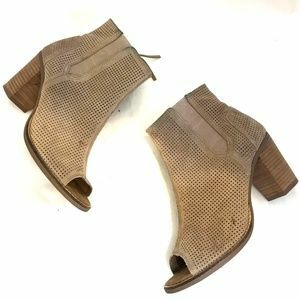 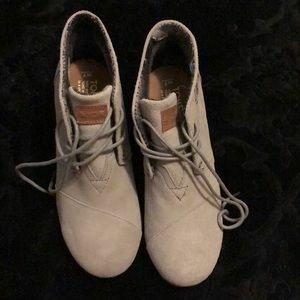 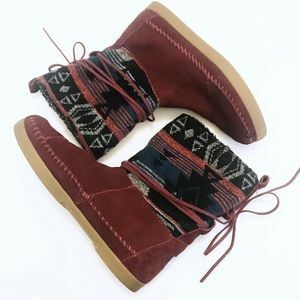 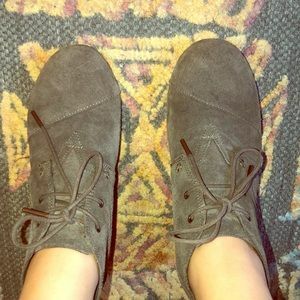 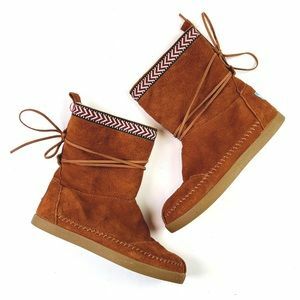 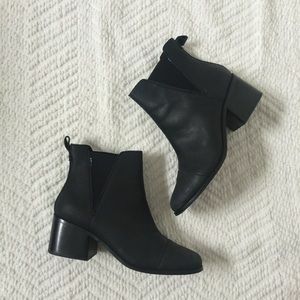 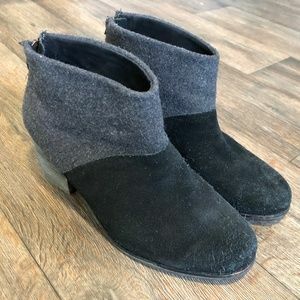 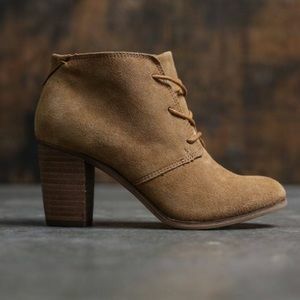 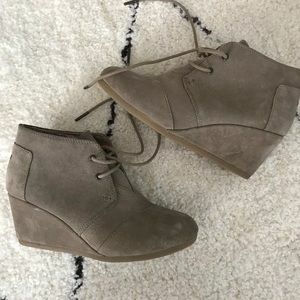 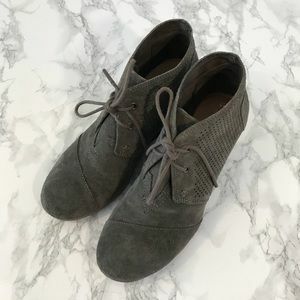 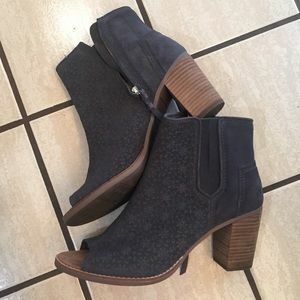 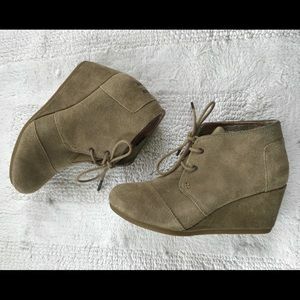 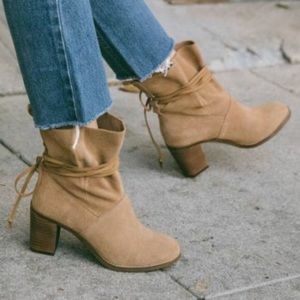 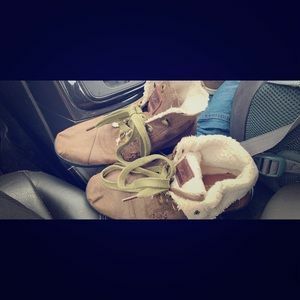 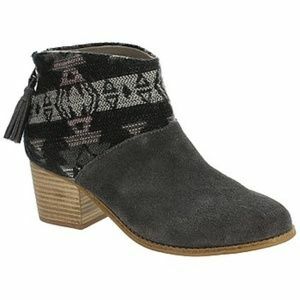 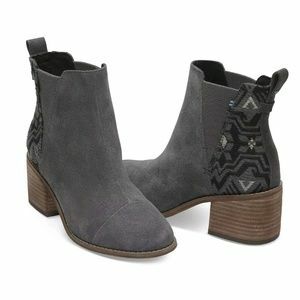 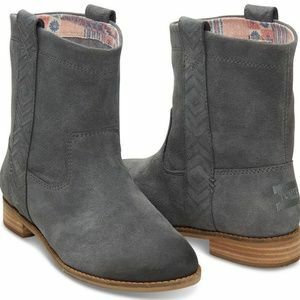 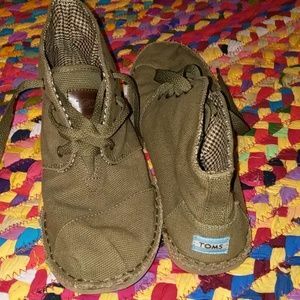 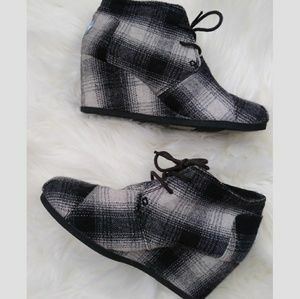 Super sweet TOMS booties/boots.Canvas.Olive green.